Belkin is one of the world’s most trusted names in consumer electronics and is synonymous with great design. With a growing range of devices to choose from, the selection could be overwhelming to many consumers. To overcome this, a lanyard was designed to give retailers a simple sales tool to help explain Belkin’s unique product features and benefits. 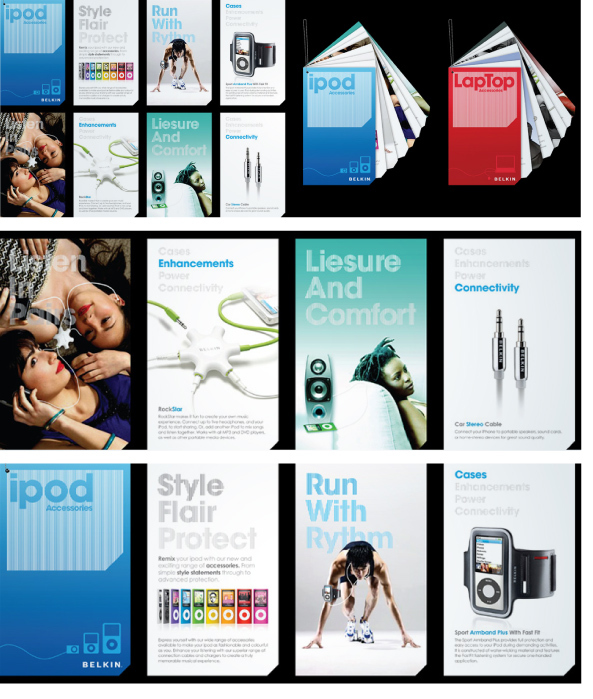 A series of eye-catching flip cards were developed to provide a convenient, powerful and cost-effective solution across the iPod and PC accessory lines.